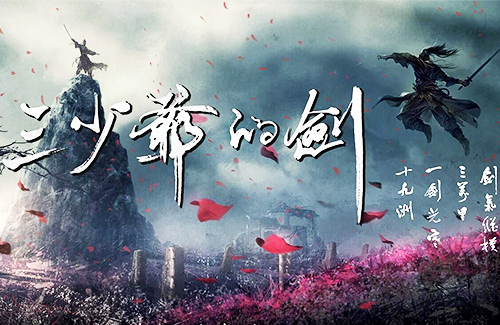 Bona Film Groups has announced that it has postponed the release date for its upcoming wuxia epic, Sword Master 3D <三少爺的劍>. Originally scheduled for a release in July 2016 for the Qixi Festival, the release for Sword Master 3D has now been delayed to the 2017 New Year. Based on Gu Long’s (古龍) 1975 wuxia short story Sword of the Third Young Master, Sword Master 3D is directed by Derek Yee (爾冬陞) and produced by Tsui Hark (徐克). It stars Lin Gengxin (林更新) in the title role, a risk-taking swordsman. Co-starring is Peter Ho (何潤東), starring as his rival, Yan Shishan; Jiang Yiyan (江一燕) as the cold Murong Qiudi; and Jiang Mengjie (蔣夢婕) as the strong-willed Xiao Li. Sword Master 3D is a remake of the 1977 film Death Duel, which was the first book-to-movie adaptation of the Gu Long novel. Death Duel, produced by the Shaw Brothers, was the debut film of Derek Yee, who starred in the movie as the Third Young Master. A Hong Kong television drama adaptation starring Alex Man (萬梓良) in the title role was also released that year.